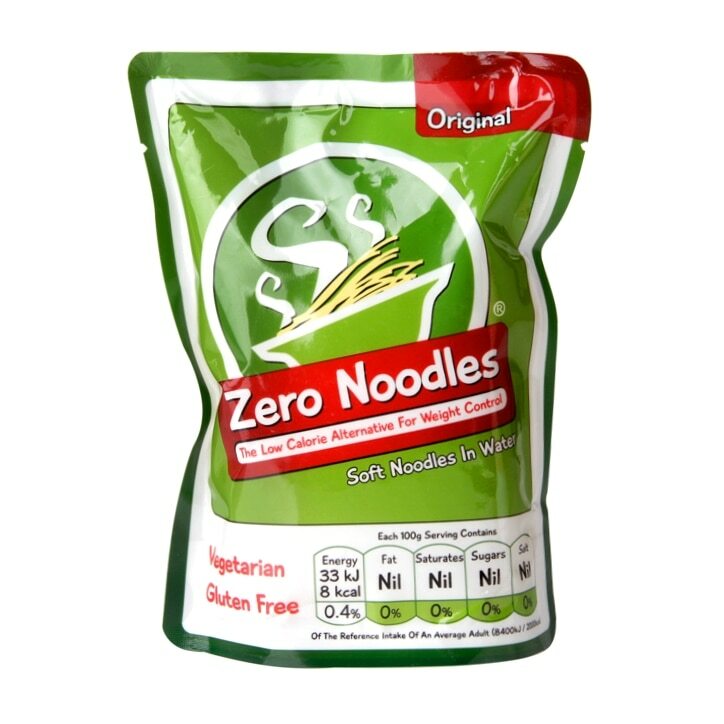 Zero Noodles Gluten Free Noodles is rated 4.1 out of 5 by 161. Rated 5 out of 5 by Beeee from Great for weight loss I first tried noodles like this at Itsu, clean, tasty, and almost no calories. Seemed too good to be true! I have made Itsu's cold Japanese dish using Zero Noodles from H&B, Singapore Noodles, and Korean soup noodles, all delicious. It turns out very much like bean thread noodles, rather than like wheat or rice noodles. I didn't find them at all fishy. They are meant to be chewy, a texture prized in Asian cuisine, but cooking will make it less so if you prefer. It has almost no taste fresh from the packet, but very quickly absorbs flavours from your cooking sauce. It's not a carb that you serve on the side, but an ingredient that you cook in your sauce. Rated 5 out of 5 by Am98 from Great noodles Love these noodles - especially for Asian inspired dishes. The low calorie content means I can add so much more to my dishes without having to worry. Rated 5 out of 5 by Blbike from Great Noodles These noodles are quite fine, more like Chinese type noodles than spaghetti. They don't smell quite as fishy as other brands when you get them out of the bag, so they don't need quite so much rinsing. I use them regularly.